Complete your winged eye look with 15X more volumised and fanned out lashes. False Lash Butterfly Wings mascara instantly volumises at the roots and stretches your lashes outwards for a winged eye effect. Volumize, curl, lengthen and texturized. Waterproof mega lashes top and bottom. 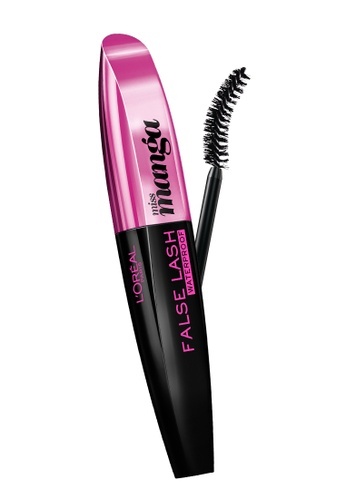 Can't find L'Oreal Paris False Lash Miss Manga Waterproof Mascara in your size?